Transient receptor potential vanilloid 4 (TRPV4) regulation. (A) The components of extra- and intracellular solution. Numbers mean the concentrations (mM). (B) The protocol to check the currents. 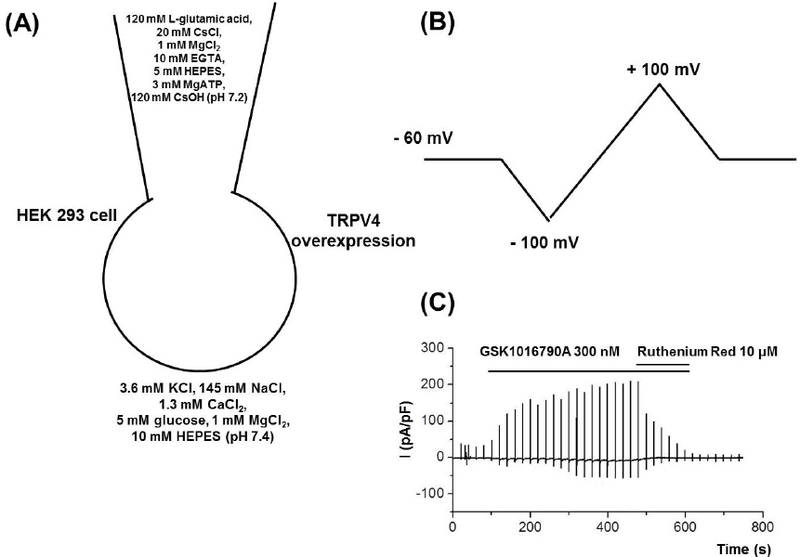 (C) Effects of TRPV4 agonist, GSK1016790A on overexpressed TRPV4 currents in human embryonic kidney (HEK) 293 cells.